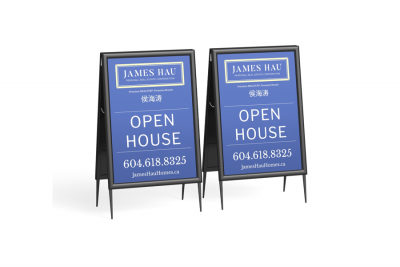 Custom Illustrated Branding, mobile-responsive Realtor® Website with Cinematic Intro, essential stationery and marketing material for both digital & print. Hand-drawn, from scratch – it’s the only way we do our custom illustrated branding in order to help our clients stand out from the crowd. 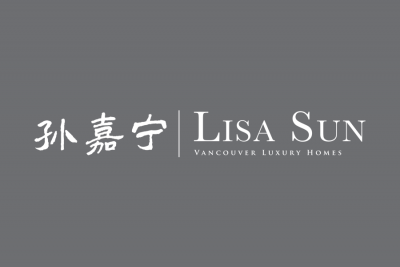 For Vancouver West’s leading Realtor® Ken Stef, we created something unusual – an elegant sketch of a modern West Coast home nestled in our pristine nature. 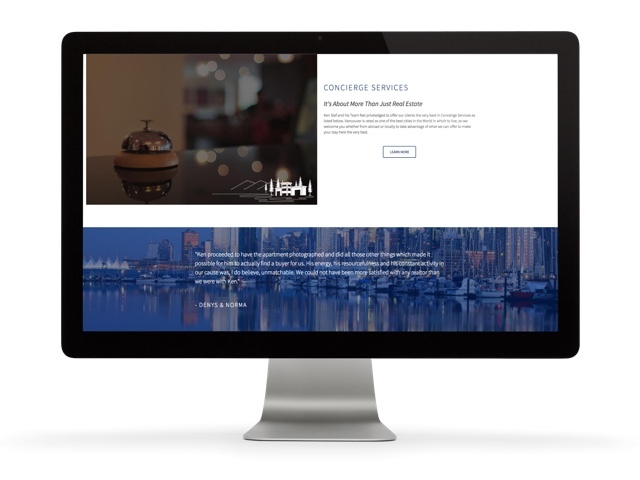 We coordinated this brand so that Ken’s name & title can stand on its own, or have the beautiful illustration accompany it gently but firmly, completing the look while offering the versatility. 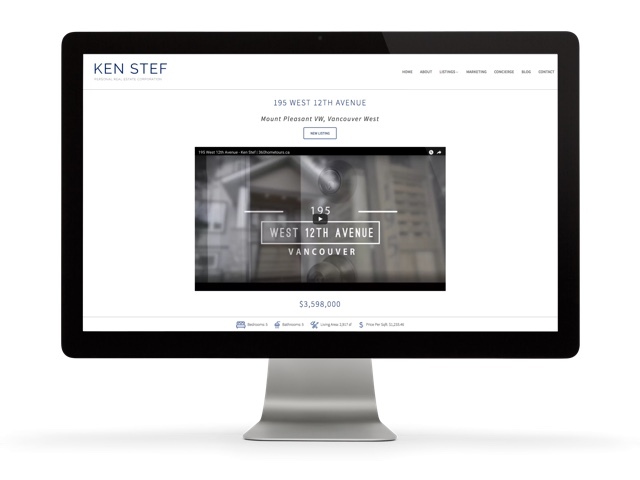 Featuring a Cinematic Intro on the front page with a beautiful video background beneath his branding, Ken’s website opens with a big statement. 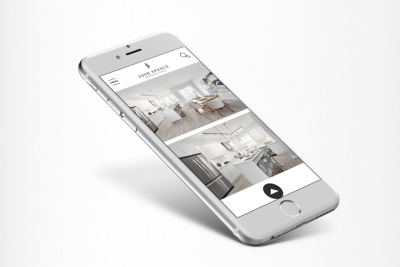 To help bring focus to his featured luxury properties, we showcase his listings with a 3-across format along with a video and photography-first approach. 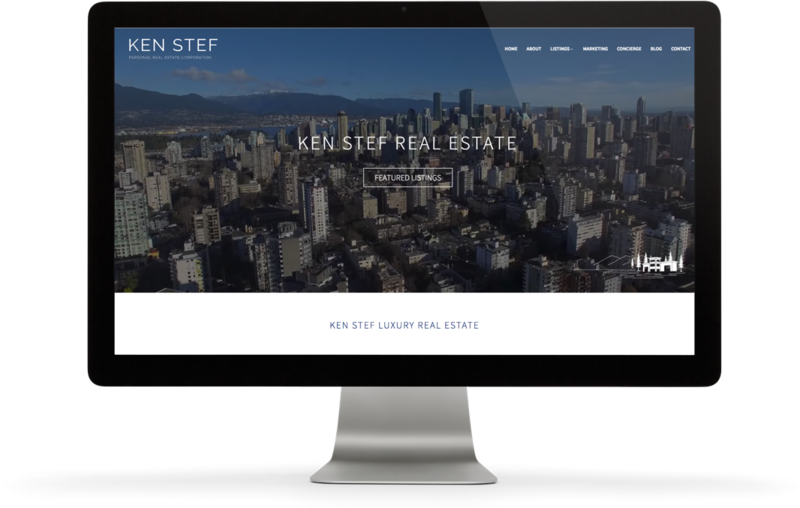 His Marketing Methods page visually showcases the premium listing marketing services used by Ken to help his sellers maximize their returns in the competitive luxury real estate market in Vancouver, BC. 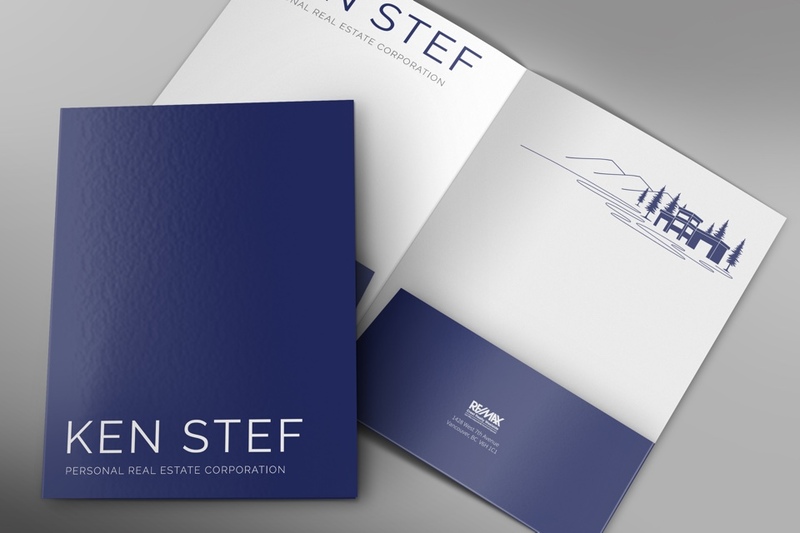 Carrying the gorgeous branding system, our design team brought to life more marketing and presentation pieces – starting with the essential stationery such as business cards, all the way to the presentation folder to package it all. 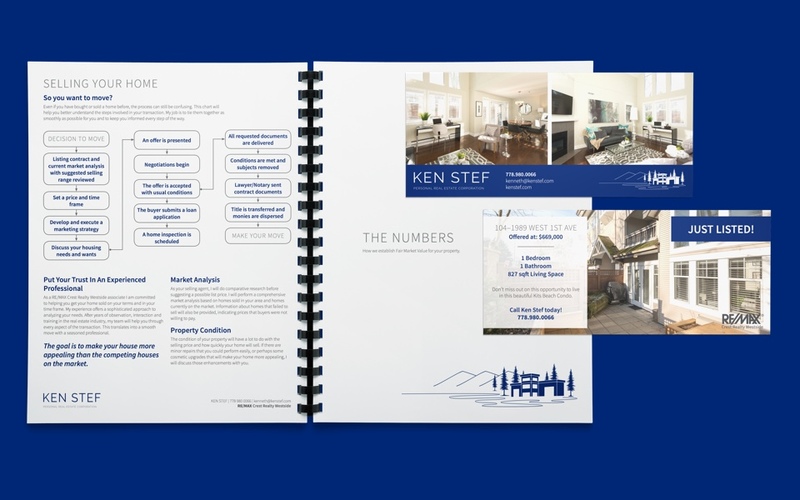 The custom illustrated waterfront mansion proved to fit nicely into many of Ken’s marketing material, completing the look & feel of the experienced luxury real estate agent that he is. A great impression needs to be maintained throughout. 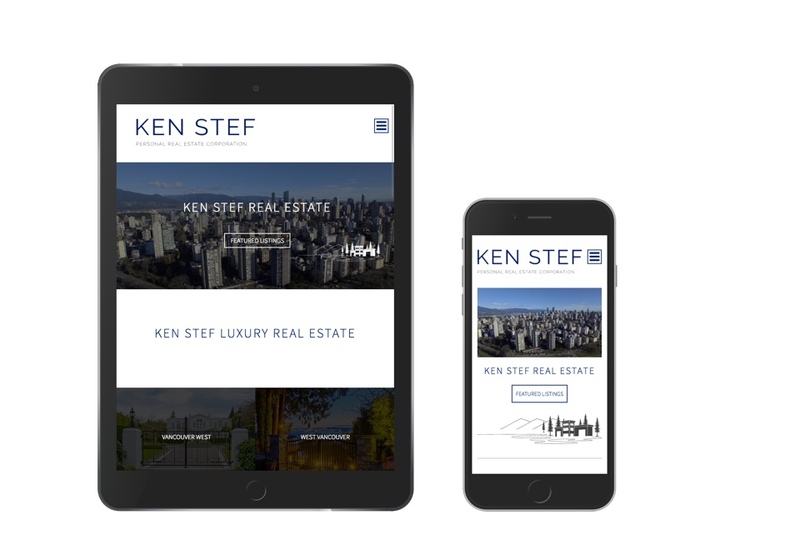 With boutique designed property feature sheets as well as neighbourhood mailers for listed & sold homes, all the material designed for Ken followed his branding to a T for a consistent sense of beauty. 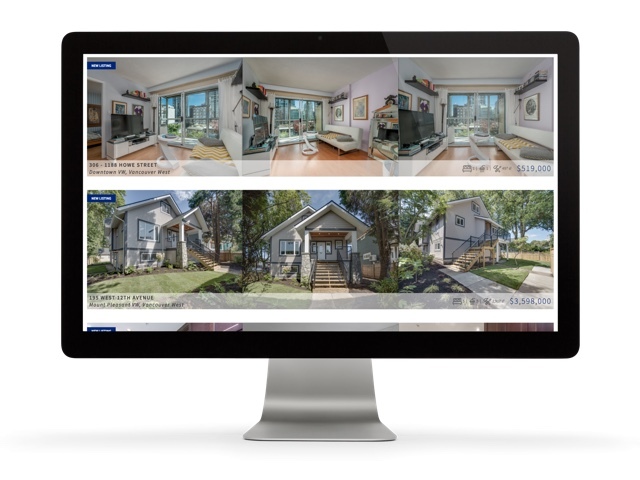 The digital marketing material such as Instagram & Facebook postings were also a great hit, allowing Ken’s listing clients to experience top-notch social media presence. Ready to start looking better than your competitors?